Thanks to our GREEN designated realtor, Alison Hamlet, for giving us the initial lead for this story, as well as her pool of knowledge and resources which brought this story together quickly. For background, Alison is on the AZ Green Chamber of Commerce, where she first heard the presentation for HOMEnz last December. When Marlene Imirzian & Associates Architects won the City of Phoenix’s Sustainable Home Design Competition, her chief designer, Jay Atherton, hit upon a concept influential to the entire design process. Their design was judged by a diverse nine-member panel, which included architects, green builders and city planners, based on a criteria of energy performance, sustainability, affordability, replicability, public rankings and overall creativity and beauty. The $100,000 prize, with parameters set by the City of Phoenix and the Arizona Chapter of the American Institute of Architects, went to the top creative minds who could present a cool, sustainable design at mid-level cost. But, as it turns out, when Atherton began designing the home, the project later adopted as HOMEnz (“nz” stands for net zero), the creatively beautiful mandate focused his attention, rather than solely the sustainability angle. Imirzian and her team plotted to build their design on a lengthwise N/S orientation, and it informed an earthy, Case-Study Home inspiration Atherton sought to sew into the design. 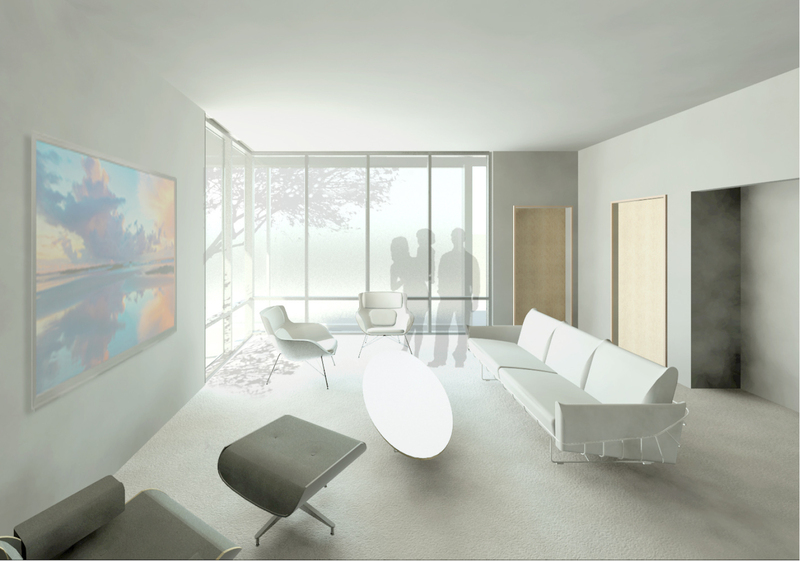 Like its Mid Century Modern forbearers, practicality informed the design: the floorplan doesn’t cramp the occupants and the glazing, similar to any MCM design, ensures light floods in which narrows the gap between interior and exterior. Yet, to win a competition called the “Sustainable Home Design Competition,” sponsored by the local municipality, you can’t get by on looks alone: it needs to be noticeably sustainable. Some modern materials, like Structural Insulated Panels (SIP), framing boards sandwiched between insulation cores for walls, or fabric screens for the exposed glazing, eased energy efficiency decisions early on which benefitted the design process. Yet, the project prerequisites demanded 80% less energy use than what’s typically built in our climate; this significant bar, motivated a shift in the team’s aesthetic mindset. In the initial drawings by Atherton, 40% of the home contained glazing, which forced the team “to go back and become very targeted” on the placement and proportions of the insulation of the home. This goal required the project to have specific technical know-how on board, so Imirzian and team tackled the problem with the assistance of the collective knowledge of engineers, contractors or various sustainable consultants. Stephen Mogowski of Desert Skies Consulting, provided clarity to HERS performance parameters and its intricacies which optimized their design’s performance, when their own knowledge of these standards was rudimentary for the advanced task. In equal measure, the critical input from Henderson Engineering was instrumental in their efforts: Imirzian credits the engineering team at Henderson, through their analysis of possible mechanical system & electrical loads solutions, for the ultimate success they had with their HERS score. Other knowledge that was practically indispensable was offered by Contractor Jim Furcini, of Furcini Construction, who evaluated the cost and numbers to make the project affordable to the masses, a critical project goal. When they finally reduced their energy load consumed by powering the home beyond project guidelines, they got closer to off-the-grid energy, or net zero, goals. And this meant the overall efficiency of the exterior kept the energy inside, which in turn didn’t demand a powerful, costly mechanical unit to offset the heat gain. Yet, in spite of the accomplishments bestowed upon them by the City of Phoenix, as well accolades elsewhere, Atherton’s mindset still doesn’t stress the sustainability angle but alternatively what achieving this goal allowed him to create as a designer. Stay tuned for Part II, when these flexible plans will be made available for free on the city’s website, and the first 10 consumers will receive building incentives, saving thousands in costs. 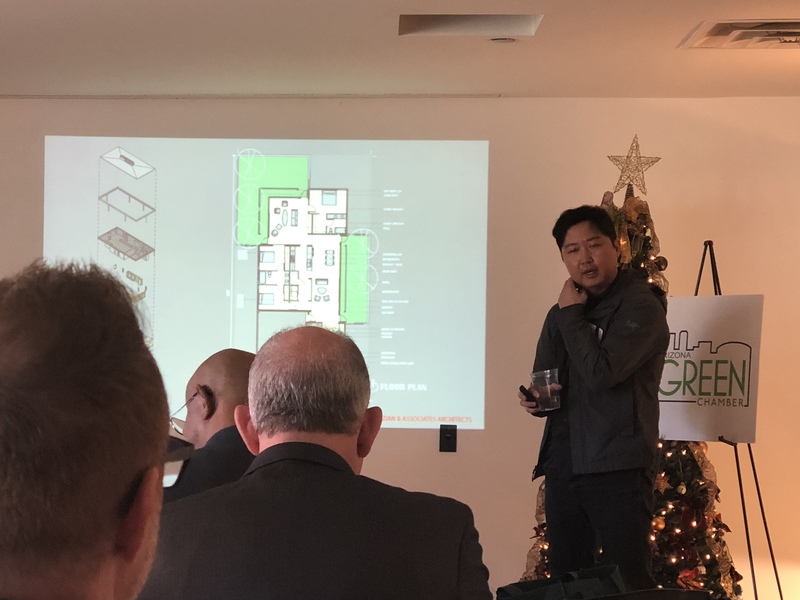 The ultimate goal for these homes is to spur adoption on a massive scale to meet their 2050 Sustainability Goals, to their way to becoming a carbon-neutral, zero-waste city.